Bad Credit or No Credit, We Can Get You Approved! New York City is one of the most populous cities in the United States with 19,000,000 residents. The residents of New York City earn a median income of about $56,000 a year. With a high cost of living, these residents face their fair share of financial challenges. About 15 percent of the population lives below the poverty level and struggles to maintain employment. While there are public transportation systems, like the subway, not everyone can enjoy the luxury of using them. Some residents must resort to using their own cars to travel to and from their jobs. Those who struggle to qualify for an auto loan to meet the expense of buying a car can seek help from our experts here at Auto Credit Express. We match New York residents with dealers that can provide them with loans to meet their transportation needs. 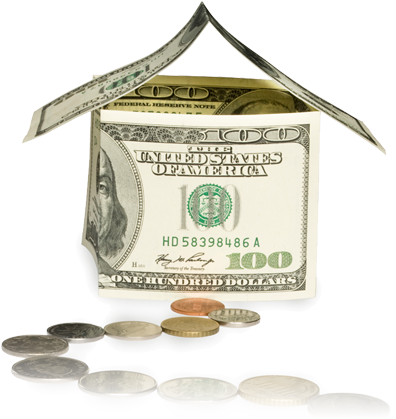 According to the Federal Reserve Bank of New York, the average consumer has at least $8,450 in non-housing debt. For auto loans specifically, New York residents have (on average) at least $11,700 in debt. Over 20 percent of New York residents have a credit score that falls below 620, which is considered "poor credit." But, luckily, these individuals may still be able to qualify for auto financing with bad credit auto loans. A bad credit car loan is a type of financing provided to someone who has a tarnished credit rating. This negative rating may have been caused by a mortgage default, delinquent payments, bankruptcy or other financial mishap. Bad credit auto loans are also good for buyers with no credit due to youth, self-employment or any other life circumstance that has caused someone to never use credit. To qualify for these loans, you may have to use a co-signer, be subject to a higher interest rate or place collateral on the loan. At Auto Credit Express, we have experts who can connect you with dealerships that will provide you with https://www.autocreditexpress.com/leasing_and_financing/lease_deals/bad_credit_leasing_nyc/">bad credit auto loans in New York. Our experts understand how hard times can impact the life situations of consumers, and we are here to help you make it through these difficult times by getting you the transportation you need. Bankruptcy is another unfortunate situation that can cause your credit score to take a major hit. In New York, the U.S. Bankruptcy Courts report that over 58,000 New York residents have filed for bankruptcy in the past two years. If this type of proceeding is documented on your credit report, it will probably make conventional lenders wary of providing you with financing in the future. A bankruptcy auto loan is provided to someone who has filed for bankruptcy in the past or is currently undergoing the process of a chapter 7 or chapter 13. Like with a bad credit loan, a bankruptcy auto loan may subject you to paying higher interest rates, require a co-signer or make it necessary for you to put up collateral as security for the loan. At Auto Credit Express, we know how difficult it can be for those with bankruptcy in their history to qualify for car loans. Through our website, you will find dedicated experts available to help New York residents find financing through our lenders. We connect buyers who have filed for bankruptcy in the past with lenders who can get them approved. Average Miles: 401 1527 are for sale right now! Average Miles: 303 1263 are for sale right now! Average Miles: 256 959 are for sale right now! Average Miles: 2632 864 are for sale right now! Average Miles: 33551 512 are for sale right now! Average Miles: 42611 389 are for sale right now! Average Miles: 32300 359 are for sale right now! Average Miles: 29839 307 are for sale right now! Average Miles: 273 292 are for sale right now! Average Miles: 37388 278 are for sale right now! New Yorkers may also be interested in the option of securing financing through Buy Here Pay Here (BHPH) car dealers in New York City. These types of dealers are willing to extend credit to those who have poor credit histories. In fact, most of them don't even run credit checks. With a Buy Here Pay Here loan, you will be able to arrange making payments on a weekly, biweekly or monthly schedule at the dealership. You will purchase your car at a NYC lot and then make payments to that dealer, in person in the future. With a rent-to-own (RTO) car lot, a dealer provides customers with the opportunity to rent a car at a weekly, biweekly or monthly rate. The customer does not undergo a credit check, and he or she simply makes payments to the dealer. A portion of the funds that are paid go towards the principal balance of the car's price, and the customer has the option of buying the car at the end of the rental term. This type of financing eliminates third party lenders, making the process quicker, less stressful and easier. The RTO dealer is going to work every angle to get you into the car, truck, or SUV that you need and that fits into your budget. This also gives you a year or two, depending on your rental agreement, to decide if the car meets all your personal and family needs. Is it big enough? Does it get good enough gas mileage? Is it easy to get the kids in and out of? If so, then you have the option to buy it at the end of your rental period, and if not, then you can turn it back into the dealer and pick out a new one to rent. This may seem a lot like leasing a vehicle, but it is, in fact, different. For example, most leasing companies only allow you to lease a vehicle if you have impeccable credit, whereas, with a rent-to-own car lot, your credit doesn't even matter. As long as you have the income to make your regular payments, you will be approved. In New York City, more people are choosing the rent-to-own option every year. If you want to learn more about this type of arrangement, the experts at Auto Credit Express can assist you. With In-house financing loans, dealers provide customers with direct loans to purchase cars. It can take extensive research to find a reputable dealer that provides in-house financing to those with poor credit in New York. However, Auto Credit Express can reduce the risks that are involved in obtaining an auto loan from a dealership that provides in-house financing by pointing you in the right direction. Many New York City residents are opting to go with dealerships that offer in-house financing because the process is relatively quick and easy. Because there is no third party lending, there is very little stress involved. The person making the decision on whether or not to approve you for the loan is sitting in front of you and is eager to get you into the car you need. At Auto Credit Express, we do the research of finding the dealership that will set you up with easy financing. All you have to do is drive your car home! 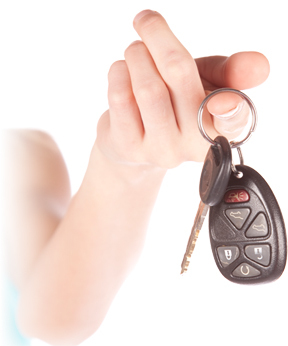 Auto Credit Express also works with Tote the Note car dealerships on a regular basis. These types of dealers will provide financing for individuals with all types of adverse financial circumstances. The disadvantages associated with these lots are higher-than-average interest rates, a limited selection of vehicles to choose from and possibly having to make payments on a weekly or biweekly basis. The advantage here is that a dealer has greater freedom to use their discretion in granting loans to individuals with even the worst credit scores. We have a list of Tote the Note car dealers that we work with on a daily basis. We will happily refer you to a Tote the Note dealer in New York so that you can get the financing you need as quickly as possible. If you're one of the thousands of New York City residents suffering from damaged credit scores due to the high cost of living and other factors, you're not alone. And you can get back on the road to good credit scores with a bad credit auto loan from one of our accredited NYC subprime lenders. Take a minute to fill out our quick and easy online loan request form and you could be driving your new or used car home today!